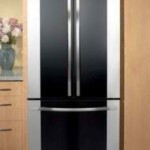 Whether it’s by configuration, energy efficiency, value, design, color, or feature set, we’ve listed it here to ensure your purchase of a refrigerator in 2013 is as informed as possible. 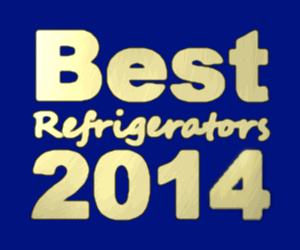 For those looking for updated lists … The best refrigerators of 2014 are here! Looking at all that’s happened in the world of refrigerators this past year … from igloos made entirely of refrigerators, to ancient refrigerators being brought into the public spotlight, to the largest capacity consumer refrigerator ever being released by LG … it’s been quite a ride! We’ve seen top and bottom freezer configurations finally getting in-door dispensers, something that was long over-due. 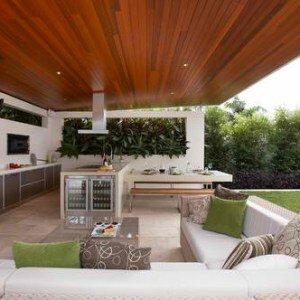 Doors-In-Doors, LCD screens, LED lighting, and Wifi enabled refrigerators became more mainstream. Of course our favorite development of 2012 would have to be FridgeDimensions.com going live, turning the frustrating task of searching for the perfect refrigerator into an breeze! Top Freezers bring a traditional look to the kitchen. Refrigerators in this configuration tend to be more energy efficient than any of the others. On the other hand, they also may seem a bit boring and the lower fresh food compartment can make using the fridge more difficult. Still, this is the mainstay fridge configuration and isn’t going away. With new features such as in-door water dispensers and contoured doors becoming more common, it’s a better time than ever before to avail of the energy efficiency advantages offered by Top Freezer refrigerators. Bottom Freezer refrigerators aren’t that common, but make a lot of sense. With energy efficiency that rivals that of Top Freezer refrigerators it’s an environmentally friendly choice. Unlike Top Freezers though, you get a better kitchen work environment with a bottom freezer. With a Bottom Freezer fridge you have the choice of going with a freezer drawer or freezer drawer. This allows you to pick the option that’s right for your situation. More importantly though, having the fresh food compartment at a level you don’t have to stoop down to reach makes the Bottom Freezer perhaps the most user (and back) friendly configuration. Side By Side refrigerators have been one of the mainstays in kitchens for decades now. With a freezer and fresh food compartment both allowing for quick access at eye-level, as well as less commonly used storage lower down, you get the best of both worlds with a Side By Side layout. Unlike Bottom Freezers and French Doors, Side By Side refrigerators are available in a wide range of options from most manufacturers. French Door refrigerators look elegant and classy. Their large fresh food capacity at eye level makes them very user friendly. With double doors allow you to easily access as much of the fresh food compartment as you want, without necessarily having to open it all up at once. Often French Door refrigerators have the best feature set, as they’re seen as something of a premium model just from their layout. For those who just want fresh food capacity, an All Refrigerator make a lot of sense. For those who need a lot of capacity, pairing an All Refrigerator with a matching upright freezer can be the best option. This way you can reach upwards of 60 cubic feet of fridge/freezer capacity, or have great capacity even with a counter-depth look. Often Freezerless refrigerators are sold in pairs with matching All Freezer models for this very reason. 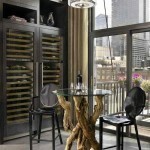 For those who want a flawless kitchen, often Built-In refrigerators are the only way to go. Creating a seemless look with surrounding cabinets, it’s hard to argue with this option on anything other than the substantial pricetag. 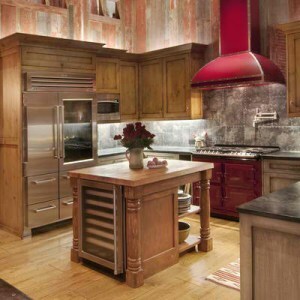 Custom panel kits can even allow you to create refrigerators that look like they actually are part of your cabinetry. A hybrid solution between Built-In and Freestanding refrigerators, Counter Depth is the option for those who want a more integrated look without spending thousands of extra dollars. Counter Depth refrigerators don’t offer as much capacity per width and height, though often are larger in these dimensions to offset their lesser depth. Many consumers find Counter Depth models more usable due to not having to reach so far back into the refrigerator when hunting for that jar of pickles that’s been pushed to the back. Under-Counter refrigerators are a special variety of Built-In refrigerators. These half-height or drawer sized refrigerators offer quick and efficient access, as well as an integrated look that won’t detract from your kitchen decor. 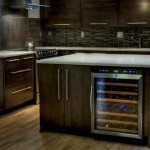 Beverage and Wine refrigerators are especially common in this category of fridges. Also, most Outdoor refrigerators are made in the Under-Counter configuration. Mini Fridges are the fun and flexible member of the refrigerator family. Whether you need a Portable refrigerator to take with you to keep drinks cool at the beach, or a small fridge for your office or workshop, a Mini Fridge is sure to fit your needs perfectly. Energy efficiency isn’t a strong suit of Mini Fridges, but the huge variation in styles and colors means they’ll always be popular. Compact refrigerators fill an important void between Full Sized refrigerators and Mini Fridges. You’ll find Compact refrigerators in dorm rooms, offices, hotel rooms, and small apartments. You’ll also find Compact refrigerators in the homes of energy conscious consumers as they tend to use less energy than their larger and smaller cousins. However, don’t take it for granted that a smaller fridge will use less energy. Some Compact refrigerators have great energy efficiency, while others are sadly lacking in that department. Not concerning themselves with freezer capacity, gallon door bins, or most of the featuers we associate with refrigerators … Wine and Beverage refrigerators do one thing and do it well … keep our drinks at the perfect temperature. Generally in Built-In and Compact configurations, and with Glass Doors to show off their interiors, whether it’s a rack of wine for long term storage or soda cans for convenient refreshment, Wine and Beverage refrigerators are there to serve beautifully. Everything comes full circle, and the Retro fridge look is back in fashion again. Where they differ from Vintage refrigerators they mimic, is that Retro refrigerators are manufactured to modern standards. This means they are more energy efficient and may have features that you couldn’t find on Vintage refrigerators. The popularity of Retro refrigerators certainly isn’t hurt by the wide range of colors that they are available in. If you’re looking for an orange, pink, green, or just about any other color that isn’t white, black, or metallic, you’re likely to end up with a Retro fridge. Now that we’ve seen how the refrigerators stack up against others in their class, it’s time to look at how they compare to all refrigerators. Are Top Freezers really the most efficient? Can French Door’s be competed with when it comes to looks and features? Here we feature the Best of the Best Refrigerators for 2013! 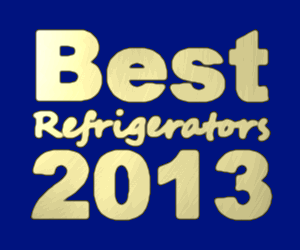 And now the highlight of the show, the Best Overall Refrigerator for 2013!